This winter is feeling extra long. My room is always cold because of the giant window that takes up just about an entire wall. Or summer just feels shorter since there is no school. Over the hasty two weeks of winter break, I went to China with Mom to see families. Spent most of my days there at Grandma's, she is 83 and going strong! In between I did some small trips to books stores(too cold to hangout outdoors) and random shows. Bought very few art books and among them I bought some old school Chinese "comic". 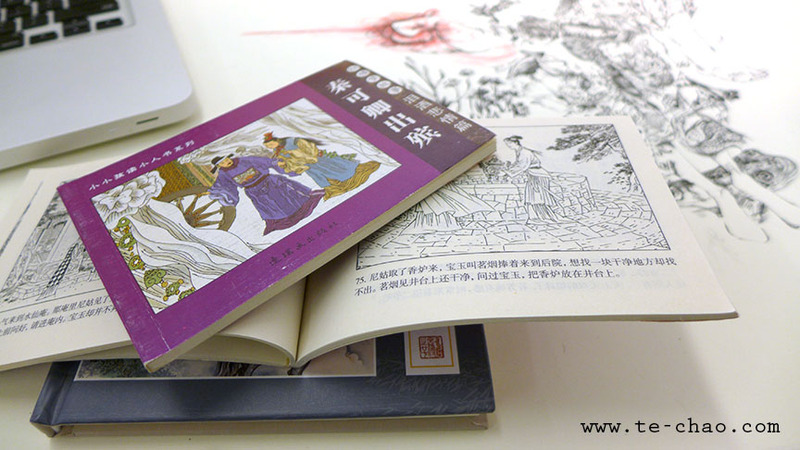 They are called xiǎo rén shū which literally means "small people book", and also Lián huán huà-"continuous images". The original Chinese "comic"(xiǎo rén shū/Liánhuánhuà ). I think my mom grew up on these and it's what started her artistic career. By the time I started school in the early 90's China was already filled with Japanese manga and anime, thus I never owned any of these books. Most of the originals are probably discontinued, there are few places, mostly stores that sell antique and/or Chinese painting things. The ones I got were done in the recent years according to the publishing information on the back, good to see traditions are being carried on. The trip wasn't relaxing because it was rushed and hectic, however being physically away still made a difference.